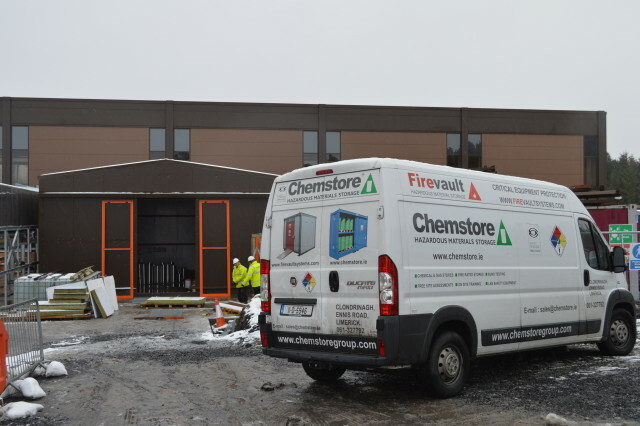 Chemstore were asked to provide a solution for the onsite storage of up to 37,000L of highly flammable material. 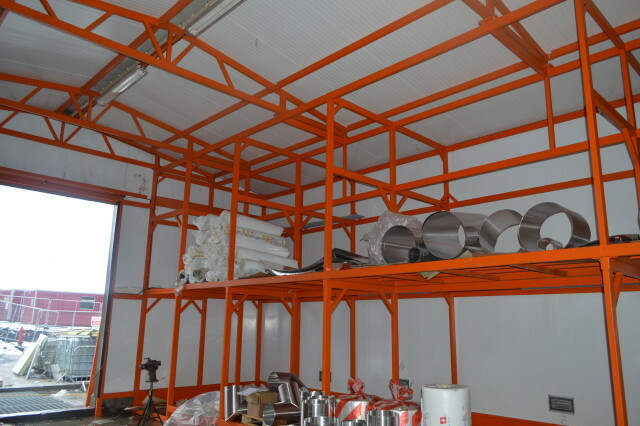 The product is being stored in 200L steel drums & IBC’s for the NEW production facility on site. 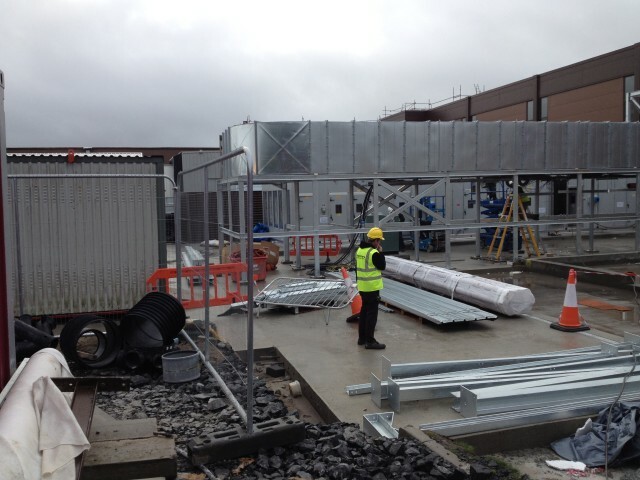 The combined storage & ramp; pumping area were to be fully bunded and to protect both the environment and the risk of Fire Hazard on site. 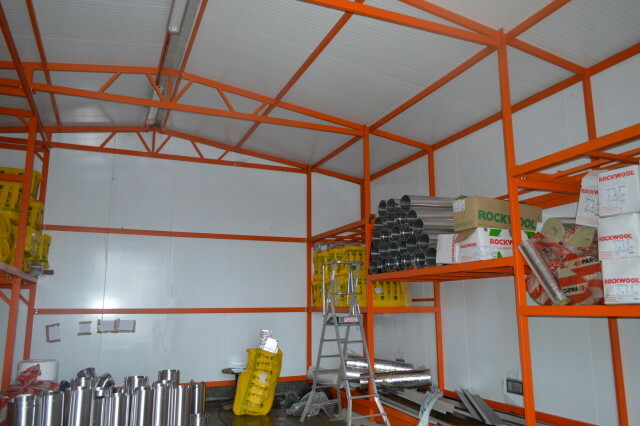 The compound was constructed using a 4Hr Fire Rated panel and built to HSG 51 Regulations. Extract From HSG 51 – The Storage of Flammable Liquids in Containers. Distance from occupied building, boundary, process unit, flammable liquid storage tank or fixed ignition source. 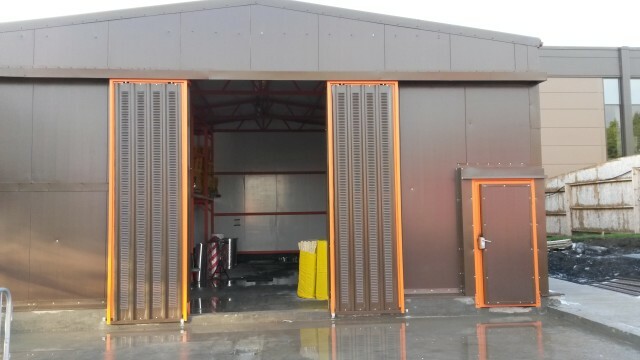 4.0 x 10.0M Walk-In Pump Room with twin hinged doors & single access door. All doors are 4Hr Fire Rated. 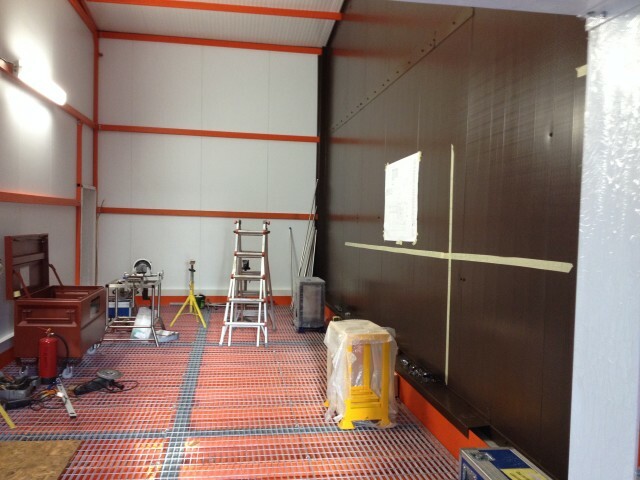 The pump room and warehouse are separated by a 4Hr Fire Wall. 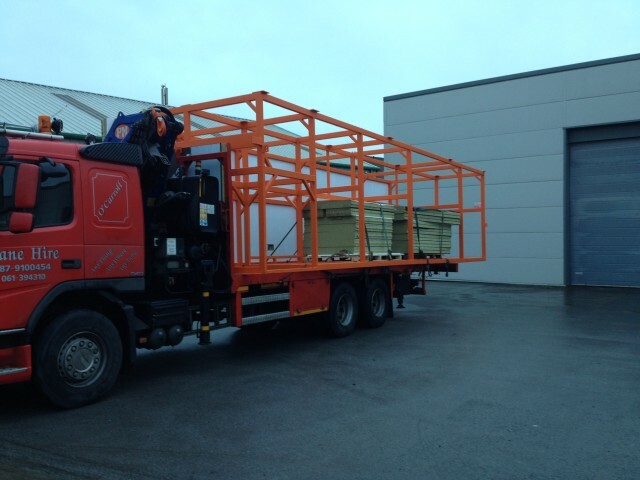 Robust all welded 100x50x3mm steel box section frame. Purlins, bracings and cross-supports used where required. Every 2 bays in length have an individual fully welded steel sump tray – suitable for use with flammables/oils. Bund Test Certificates are issued for all bunded areas. 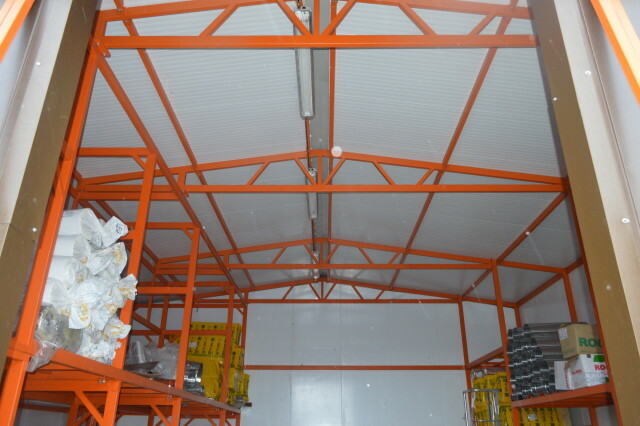 FORKTRUCK: Twin sliding front access door can easily be slid open by hand and are fully lockable. 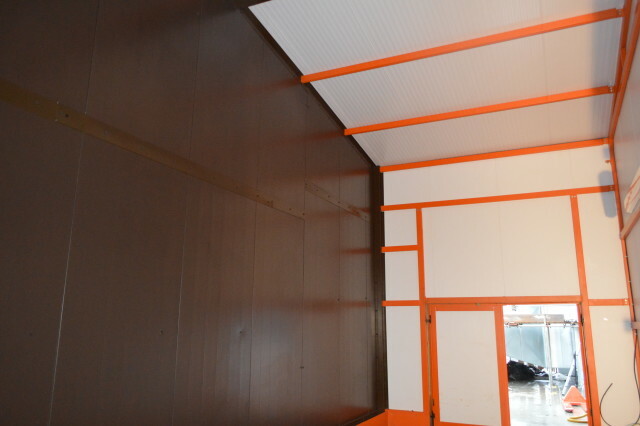 Doors are single skin fully louvred to ensure good natural ventilation. Intumescent ventilation Pyrogrilles fitted as standard at high and low level to ensure good ventilation throughout the store. When tested to BS 476 part 22 the panels exhibit a 1 hour fire-rating. The 150mm thick Fire-rated panels are fabricated from high quality resin bonded Conrock slab and are securely fixed using the tongue and groove method, for added stability, to the robust welded steel box framework. The internal face is finished with polyester coated internal zinc steel panels. When tested in accordance with BS 476 part 22 1987 the panels exhibit the following results: Insulation on temperature 208 mins. There is, therefore fire resistance to the wall construction of 265 mins. External colour: Choice, standard Goosewing Grey. Internal colour: Choice, standard White. All steel coated with high specification 2-pack, chemical resistant, Acrylic paint system, designed for aggressive environments. Choice of colours to match site scheme.